The new version of Easy Redmine 2018.1.3 just released. Explore the new most wanted features & plugins in one Redmine upgrade and take your Redmine projects to a whole new level. 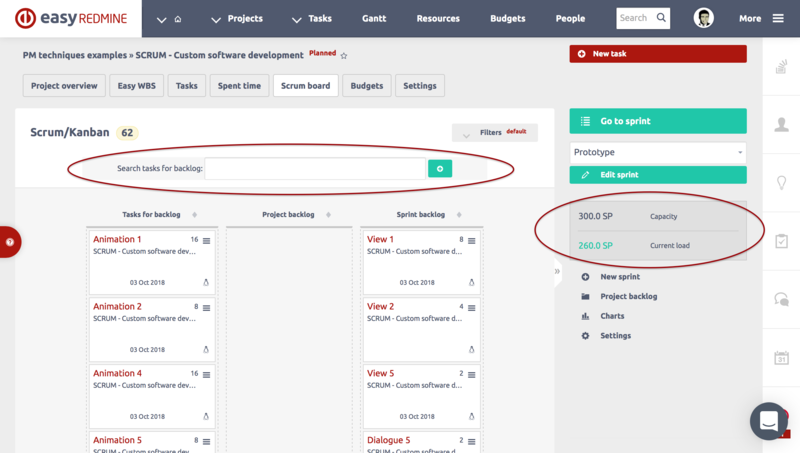 Redmine set-up is easy thanks to predefined roles & dashboards. Dashboards, advanced settings, and templates make customizations easy. Global cloud and server solutions ensure the best performance. Enhanced API, XML & XLSx imports and Zapier make integration easy. BI brings you important insights and overviews of your projects and company performance. See & manage projects and tasks finances in visual WBS (also known as "project mind map"). Just display your projects costs, revenues, profit - both in plan and reality! The CBS is a cost allocation to the lowest level of the Work Breakdown Structure and it is used to continuously compare the actual costs with the budget, and integrate to the cost control system. On top of that, you can create new entries easily right in the mind map. Basically, it's calendar that allows you to allocate your tasks while taking estimated time into account. Tasks can be easily distributed thanks to a drag & drop feature. It makes daily working much easier for both workers and managers. Managers can use it as a tool for task allocation of teams and subordinates. The Resource Management most wanted feature is here. Custom drag & drop reservations without assigning a specific task or project. Plan your resources like never before and simply create future custom reservations – easy, simple and quick.